There have always been wine snobs and liquor snobs (like yours truly), but in the last few years the rise of the beer connoisseur. Craft and boutique beers have become increasingly popular and beer making has perhaps made the jump from serious craft to something a bit more artful. 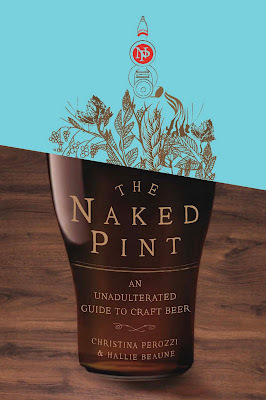 The book The Naked Pint: An Unadulterated Guide To Craft Beer (Perigree) might be the bible of this still evolving movement. Authors Christina Perozzi and Hallie Beaune have managed to put together a kind of history, how to, and guide to understanding the finer points of serious brewing. Mark and Lynn were lucky enough to check in with them about their book and some of the aspects of beer and brewing that are worthy of serious appreciation. M & L: Is there anything about beer that you learned that was a genuine surprise to you? CP: "Well, at first, everything about beer was a genuine surprise. We thought we knew everything there was to know about beer, but 95% of the beer world was all one style - a Pilsner-style lager. We had tried all the beer that was available to us and it was all the same style and we pretty much believed that we had beer down. So it was a revelation to realize that in the craft beer world there were 140 different styles with different flavors, from chocolate to citrus to cherry. It was amazing that there were so many different beers that we hadn't been exposed to. It's still always staggering to taste our way through craft beer and understand the breadth of flavors it contains." M & L: Can you enjoy this book if you don't drink beer? HB: "Absolutely, anyone who has a love of food and drink can appreciate the nuances in craft beer. And we actually believe that if you say (and we get this a lot), "I'm not a drink beer," then you just haven't found the right beer yet. We wrote this book as a primer with the novice in mind and tried to make the different beer styles accessible, breaking down beer by flavor notes, like citrus, nutty, chocolatey, resiny, etc. and moving from the least intense to the most intense. Aside from that, we tried to keep 'the funny' going in the book so it would be an enjoyable read for anybody - beer lover or not." M & L: Who is/are the key figures in the history of beer in your mind? CP: "Well, there are many many key figures in the history of beer. We think of the ancient Sumerians and their inventing of beer; the ancient Egyptians who worshiped beer and made delicious honey mead. There was Pliny the Elder, the Roman Admiral and scholar who gave hops their scientific Latin name, Humulus lupulus, 'wolf among weeds'. We think about the Cistercian Trappiste Monks who keep holy recipes going and keep beer holy. We think about our forefathers like James Madison and George Washington who were avid home brewers with recipes in the Smithsonian. More recently we think about President Jimmy Carter who legalized home brew, which had still be illegal since Prohibition, in the late 70's." M & L : Is there a part of the US that has a particularly rich history with regard to beer and brewing? HB: "Well the east coast, due to its age, holds the history in terms of ancient pubs and its connection to England's brewing tradition, and our forefathers love of beer. But the west coast started the craft beer revolution in California's wine country, and the north west, especially around Portland gives us some really great beers! The Northwest is also famous for providing brewers with delicious hops. Obviously, St. Louis has a strong brewing tradition with its identification with Anheuser-Busch. But the craft brewing tradition is really happening everywhere, from the east coast to the west coast! Actually, the Midwest is making some really interesting beers now with breweries like New Glarus Brewery in Wisconsin, Bells Brewery and Jolly Pumpkin Brewery in Michigan and Three Floyds Brewery in Indiana." M & L: How do you see the future of beer evolving? CP: "It's only getting better. Craft breweries are exploding all over the map, there are over 1500 now. And this means that people in every city will have a craft brewery not too far away, and they will begin tasting beer made with quality ingredients. And we believe that once you are exposed to the wide variety of flavors in great beer, you don't go back. 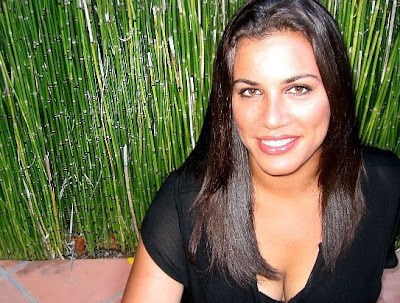 And many great restaurants owned by chefs like Mario Batali and Daniel Boulud have great craft beer lists, so it is being recognized as an important part of every dining experience. The future of beer really is seeing good craft beer everywhere, especially in the fine dining restaurants where there's been a huge gap on the menu for years. You have these restaurants that have wonderful food using seasonal, farmers market ingredients, a hand-picked boutique wine list, but then when you get to their beer list there are 3 mass produced, industrialized beers that you can buy in the gas station. That's changing now and we're very happy about it!"